It happened again. A slight nudge with the bumper of a car and my Craftsman air compressor model 921.152100 is on it's side with a broken drain plug. This fragile part had broken before in a similar fashion. Although this is not a costly part, I was tired of dealing with this deficiency in an otherwise stout and reliable machine. In this post I will show you how I upgraded this part from fragile to unbreakable. And I'll throw in an oil change. Tools: Electric drill, 5/16 Allen wrench, Optional: channel-lock pliers and 15/16 socket. 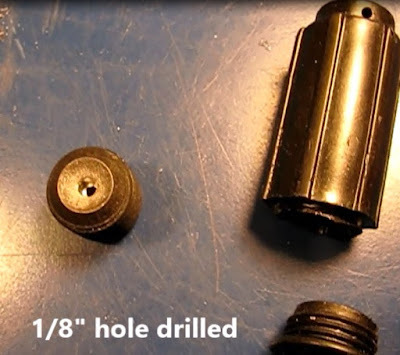 1) Find the correct size set screw for the plug. I took the broken part to a hardware store and used their thread matching jig to find it. The correct size is 5/8-18 (The "18" is the threads-per-inch count). The plug I found was 5/8" long but this dimension is not critical. 2) Drill the hole for ventilation. The original plastic plug had two approximately 1/8" holes in it. We must vent this plug. Just use a sharp bit. This plug was recessed so I didn't need to center punch it. 3) Wrap the plug threads in teflon tape. 1) Lift the compressor over a drain pan and drain the oil. It won't take long, there isn't much in there. The manual omitted the oil volume required so I determined that by weighing the used oil in the machine. I measured it at 38 grams in a one time attempt to establish exactly how much oil to add. 2) Optional: The owners manual instructs to remove the sight glass to drain the remaining oil. With channel lock pliers and a 15/16 socket drain the rest of the oil. I measured a mere 4 grams. This is hardly worth the trouble but the manual recommends it so I did it. Reinstall the sight glass. 3) Fill with fresh oil. I weighed 42g of oil and drew it into a syringe to determine volume. It is 45cc or 1 1/2oz. Fill and make sure it is level with the center of the sight glass. I put a sticker on the top of the compressor with the correct volume of oil to add to assist me in future oil changes. I try to change the oil once a year. 4) Install the ungraded drain plug. Don't over-torque. 5) Test. Air does flow out of the plug. No leaks and good to go. Let's inflate some tires! It is really frustrating to deal with vehicle repair and maintenance. Due to lack of knowledge, we are facing these kinds of minor or major problems with our vehicles. So we used to take the help of professional mechanics to deal with repair and maintenance issues. So it is quite essential to know about the minor things about vehicle so that we can easily deal whenever require. Thanks for your wonderful and useful discussion.It's gonna be very very useful for me. Compressor guides are actually very helpful. At least while seeing compressor reviews, it will help to decide the best. Its a common facts that machines can reduce our in a massive way. 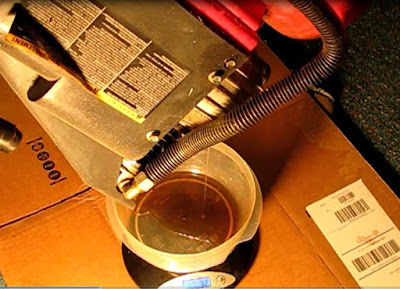 In this blog we can see that the writer share a content on changing oil by using machine which is really informative. 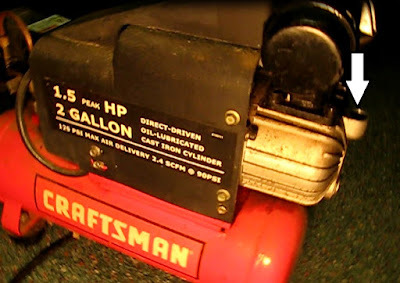 Its clear to me by reading about Craftsman 1.5HP air compressor: Drain plug upgrade and oil change. Thanks for this nice sharing. 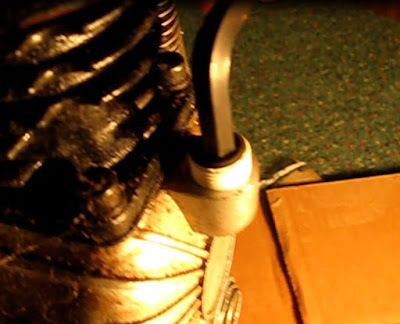 Locating the perfect air compressor which will deal with the sort of jobs that you will be 30 gallon air compressor undertaking is often quite a tricky process.